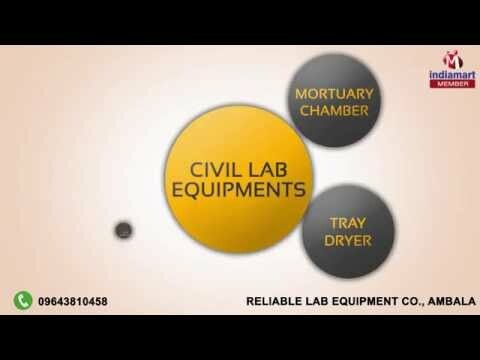 Welcome to Reliable Lab Equipment Co., established in the year 2010, an 9001:2008 certified company, we are manufacturer, wholesaler and supplier of Industrial Lab Equipment. Offered class Industrial Lab Equipment range is inclusive of Civil Engineering Equipment, Pharmacy Equipment and Civil lab Equipment. By employing modern machines and best quality raw materials, our skilled professionals manufacture the offered products in compliance with the international accepted standards of quality. These products can be customized as per the detailed requirements by our clients. Due to their sturdy design, low maintenance, high performance and long serving life, the offered product is highly appreciated in the market. Our customer can avail these equipments from us at pocket friendly prices. Moreover, we are facilitated with a state of art manufacturing infrastructure to assist us in catering to the clients requirements in a time bound manner.